Yarra Valley Water has geared up for an increase in water main bursts and leaks. An unusually hot and dry start to the year has led to soil around water pipes drying and contracting, causing pipes to shift and crack. Because much of the soil in Yarra Valley Water’s area is composed of expansive clay, hot temperatures and low rainfall can lead to the soil drying and contracting, pulling pipes out of alignment. We typically see peaks in the number of bursts and leaks when we experience extended shifts in the weather, such as from cool and wet to hot and dry, or vice versa. As a result of this we are experiencing higher than usual call volumes and waits times are longer than normal – we apologise for this and thank customers for their continued patience while we work hard to address the faults in our network. 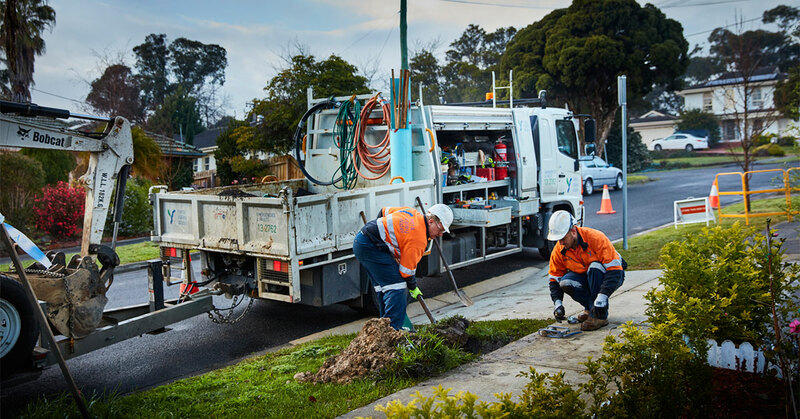 To meet the increase in bursts and leaks we added 13 new repair crews– to help us repair leaks as quickly as possible and provide interruption-free service to customers. All reported leaks are prioritised and assessed promptly. Those affecting public safety are the highest priority and are repaired first. This is followed by those that may damage property or lead to the loss of large volumes of water. As bursts are the most crucial, when we experience more of them than usual, some of the smaller leaks may take longer than normal to fix. We endeavour to turn off or reduce the amount of water flowing from a burst immediately, but ask for the community’s understanding that sometimes water may not be able to be turned off instantly. For those customers who may be inconvenienced when the water is turned off to repair a burst or leak, alternatives like bottled water will be made available. Customers can be part of the response by calling in faults through Yarra Valley Water on 13 2762. Our faults map also provides the details of reported bursts and leaks in our network.